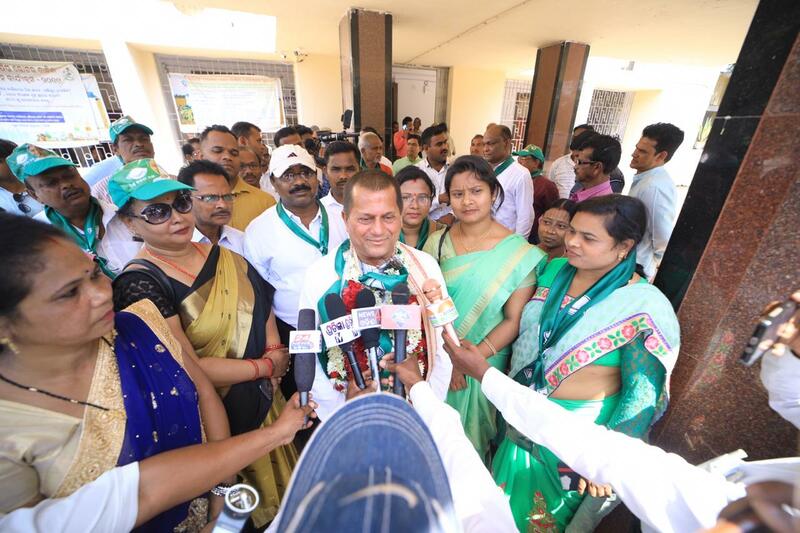 In a special event organised for Dr. Samanta at the Kandhamal District Headquarters, candidates contesting from three assembly seats in the district as well as the Zila Parishad members from 12 blocks, including the Presidents of Zila Parishads, Chairmans of various blocks and others gathered to be part of the event. At the event, Dr. Samanta laid stress on the areas of focus such as education, health, unemployment, transportation and most importantly preservation of tribal heritage. He also emphasised all-round development as the need of the hour in Kandhamal district which is only possible with the comprehensive participation of the people. Dr. Samanta received an impressive welcome from the humongous crowd gathered to attend the event and adjured the people, leaders and party workers to support him in his crusade for the progress of the nation. ONI wishes Dr. Samanta good luck in his endeavour.